After Commodore demise in 1994, there was many frustrated hardware manufactures. Some of them was the German MacroSystem Computer GmbH company. They managed to release a Amiga clone called DraCo or for some others also known as DraCo Vision. 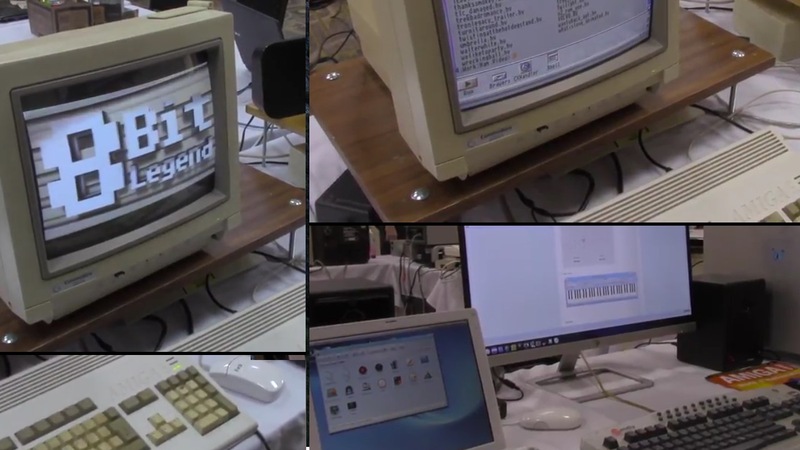 Here we look at it and what it ment for the Amiga history. The price of the DraCo was about 14,990 US dollars it but a lot cheaper in Europe. The clone also was called “Dracovision”, named after a later model. It all happened in 1994, in Germany. The company alreadey made different Amiga hardware devices, ranging from accelerators, framegrabbers, soundcards, scsi adapters, to graphic cards, etc. So these had plenty of knowledge on the Amiga platform, both on hardware and software side. The CPU card called “Eltanin” and was designed by Steven L. Kelsey of CompuWise Technologies. He was a designer of the CSA Magnum and the Warp Engine Accelerator boards for the Amiga. These Warp Engine Accelerator boards boosted a 68060 processor at 50MHz or even 66MHz and only some special models used a 68040 instead. Mem can be upgraded to 128MB RAM. DraCo also had 5 Zorro II/Zorro III compatible slots, and three “DracoDirect” slots. There was also a special CPU slot for an Alpha processor, that never saw the light. Zorro II slots offered a fair degree of Amiga compatible hardware however. On the other side, the DracoDirect slots provided faster speeds and 32-bit transfers, as they were merely created by putting the majority of the microprocessor signals in those slots. The system didn’t have Amiga’s custom chipset, but it had parts of Amiga hardware. All RTG AmigaOS software runs on the system, but programs trying to use OCE, ECS or AGA simplye won’t start. The graphics card was a slightly modified Retina Z3 which is also known as Altais, that used the DracoDirect slot instead of the Zorro III slot, as it provided faster transfer rates. It was supported by the AmigaOS at that time by the quite new Cybergraphics retargetable graphics subsystem. This Retina Z3 based graphics card could do screenmodes upto 1600×992 in 16-bit. Kickstart was loaded as on Amiga 3000 on a file rather than in a Kickstart ROM. The soundcard and framegrabber (modified Tocatta and Vlab Motion), were eventually built together in a standalone DracoDirect card called Dracomotion. DraCo also featured a Fast SCSI-II controller to provide fast disk access with minimum CPU usage (transfer speeds were aproximately 9 MB per second). IDE that was a lot cheaper, didn’t have these features in 1994. The case was a quite good looking box called “cube” shaped one, which provided more space, better shielding and improved PSU. The marketing goal behind it, was to give the sense, by its different shape, that the machine was not an ordinary Amiga. On the software side DraCo did run AmigaOS 3.1 as its main operating system, and had a full range of applications and utilities that came as a bundle. These also came on a CD-ROM since version 5. Curiously, it used original Amiga 3000 kickstart roms, along with a different setpatch command which did some serious patching to the AmigaOS booting sequence. DraCo used a custom, but otherwise powerfull software to manage digital video editing. 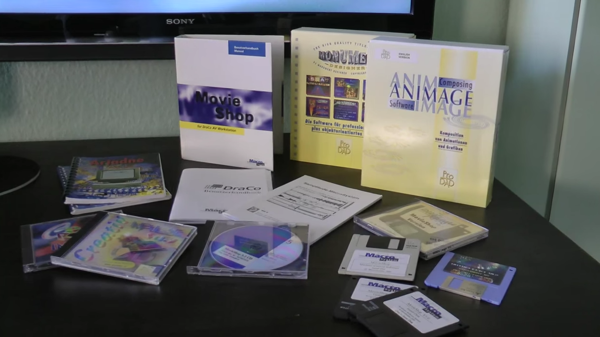 It is called MovieShop (From MovieShop 4.0 to latest MovieShop 5.3 BETA 3 (jun 13th 2000), and was really flexible. Many studios made it as their primary editing suite during the lifespan of DraCo. MacroSystem sold and supported DraCos upto the year 2000 when, as the clever company they are, they tryed to redesign the DraCo to produce a more affordable system, so they were successfull Casablanca, which was called Casablanca Classic later. So, if you think that Commodore was the only one creating Amiga computers back in the days, then you are wrong. DraCo prooved that making Amiga clones is possible, but with their high price tag it was never ment for consumers people. It was ment for companies doing video and those interested in video editing. Like with the desktop Amiga computers from Commodore, DraCo focused on the bussines sides of AmigaOS. 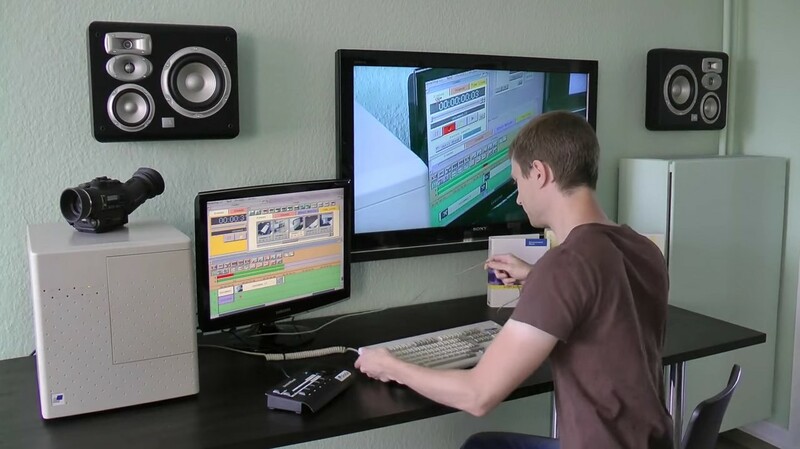 It showed that AmigaOS could also be used for serious work and the history of computing must not forget DraCo as with all the other Video Editing software that came out for Amiga. NewTek was one big competitor from USA, while Scala Infochannel was DraCo’s main competitor in Europe. Scala also had their own Amiga 4000 versions at some time (black desktop case) etc. called Amiga 4000 Workstation 040.